Larimar is a heavily coveted type of gemstone available in the Caribbean. However, if you travel over to the west coast of Aruba — near Eagle Beach — you will find one of the most precious and overlooked jewels in the entire region. That would, of course, be the Tropical Digs Resort. The resort provides an exquisite and luxurious lodging experience that is a true diamond in the rough. Tropical Digs offers a variety of sizable suites ranging from studio suites, to one to two bedroom suites. These rooms provide a spacious living and dining area with a sofa bed and matching couch chairs. The bedrooms are furnished with majestic king-size beds for your complete comfort — accompanied with state-of-the-art bathrooms. In addition, some of the suites contain expansive balconies — supplying the space to indulge in numerous meals with the picturesque Fairways as the backdrop. 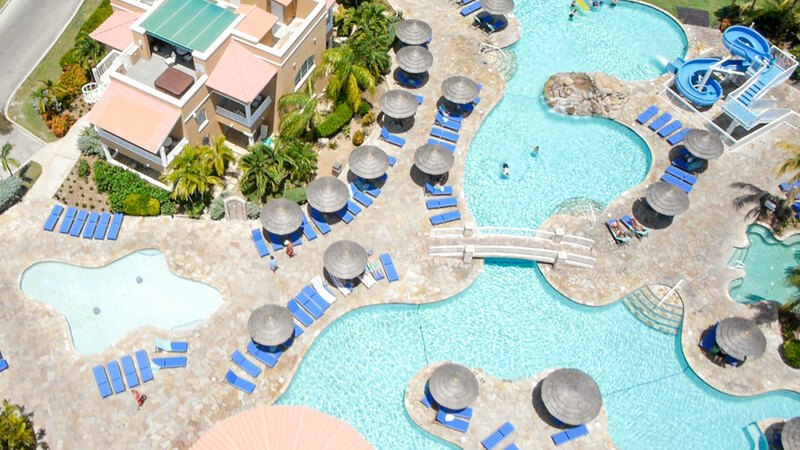 Take a dip in one of our Four freshwater swimming pools or stroll on down to the pristine Eagle Beach — which is just a mere walk away from the resort. Tropical Digs Resort is your tropical paradise.